Security cameras captured the moment an SUV crashed into a convenience store in Killingly. 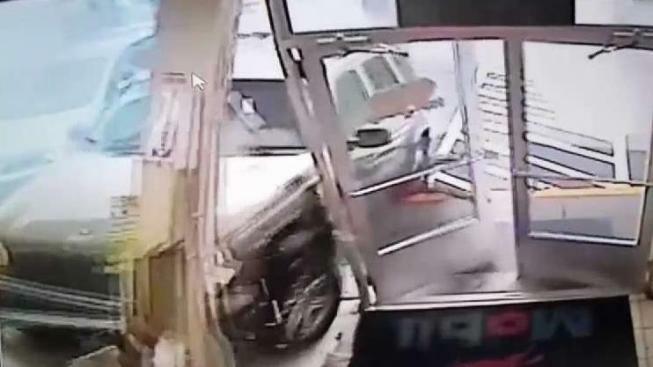 Surveillance footage captured the moment a car slammed into a Dayville, Connecticut gas station Thursday afternoon, sending glass, shelves and merchandise flying. The owner of Chucky’s Mobil Gas on Hartford Turnpike said the driver was taken to the hospital. No one inside the store was hurt. Connecticut State Police are investigating.